GHOSTS OF GRESSENHALL WORKHOUSE – Our 2nd Year at this Amazing Active Location! Fright Nights Cambridgeshire will be ghost hunting at the notoriously haunted ‘Gressenhall Farm and Workhouse’ located in Dereham, Norfolk. It was first opened during the summer of 1777, with the intention of starting a ‘house of industry’ for the poor. Men were employed to cultivate the farm, and women would have spun worsted and hemp, under the watchful eyes of Master James W Moore and Matron Margaret Moore, James’ wife. The ‘house of industry’ was later transformed into a workhouse, after changes occurred in the ‘Poor Law Amendment Act’ in 1834. A new classification system meant that men, women and children were separated. Work would include domestic chores for women such as laundry and kitchen duties, and extremely physical work for the men, such as breaking up stones to then be carted away, or pumping water. Conditions were so unpleasant that paupers would have done everything they could to avoid living in the workhouse. Although on the plus side, healthcare and education were also on offer to inmates, so would have been beneficial to all. It was not unusual for people of a poor disposition to enter the workhouse purely for medical treatment in the infirmary! 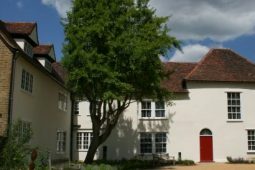 Gressenhall was in operation as a workhouse until 1948. It then served as an old peoples’ home for a short period of time. Then in 1976, it became the museum as you see today, attracting up to 80,000 visitors per year! As well as being a museum that documents the history of Gressenhall Farm and Workhouse, it’s also said to be the home of a restless spirit or two..
At night, noises are often heard throughout the premises. In particular, eerie sounds are known to emanate from the ‘punishment cell’, where a young girl with a troubled past named Harriet Kettle spent a lot of her time. Locked in solitude inside a pitch black, cold and damp room with no food! It would seem a reasonable explanation that she still haunts the area, and wants to make her presence known! So this leads to the question… Are you brave enough to join Fright Nights on a ghost hunt at Gressenhall Workhouse?! Prior to the poor law amendment act, there was no systematic procedure in place for recording births and deaths, so between 1777 and 1837, such events are unknown in the case of most workhouses like Gressenhall. After 1837, a new national civil registration system came into place, and thereafter it would have been the duty of the workhouse master to register all deaths within the workhouse within a period of five days. If an inmate died, the first procedure would be to notify any family, who could then arrange a funeral themselves. However, this of course was highly unlikely, and if left to the master of the workhouse to deal with, the burial would have been in an unmarked grave in the parish of the workhouse. Some inmates would have been born in the workhouse and lived and worked there for the duration of their entire lifespan. As previously mentioned, men, women and children were separated and would have slept in separate dormitories. There was however, accommodation provided for respectable married couples who wished to live together. The building where such inmates cohabited, is now known as Cherry Tree Cottage, of which we will have access to for the duration of our ghost hunt. 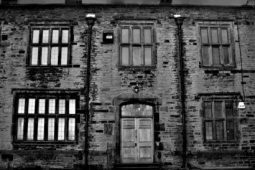 We will also be investigating the Village Row, the Board Room, the School Room, the Laundry, and the Chapel! The Chapel was designed by R M Pinson. It was built in 1868, and paid for by public subscription. Before the Chapel was there, any services would have been carried out in other areas of the workhouse, such as the Dining Room. We are really looking forward to 2018, and spending some time at Gressenhall Workhouse. Help us discover more about the history and hauntings of this fascinating location! Fright Nights Cambridgeshire have hired Gressenhall Workhouse for the night. 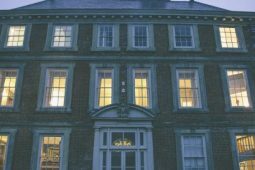 You are joined by experienced paranormal investigators and medium to try and experience paranormal activity in one of the most haunted buildings in Norfolk. Full use of Ghost Hunting and Psychic equipment will be provided as well as hot refreshments through the night. Please note: Over 18’s only and NO pregnant women allowed as per our insurance cover. Venue is unsuitable for disabled guests due to the nature of the building. NO accommodation is provided unless specifically detailed. For more information please see our full terms and conditions here. This event is organised by Fright Nights Cambridgeshire & East Anglia. 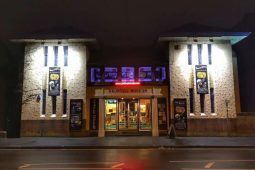 Event categories: Ghost Hunts.Event tags: Apparition, Castle, Divination, El-emental, Expert, Friday, Fright, Fright Nights, Ghost, Ghost Hunts, Glass Divination, Haunted, Haunted House, House, Hunt, Mansion, Medium, Museum, Nights, Para-normal, Paranormal Investigation, Poltergeist, Saturday, Séance, Spirit, Table Tipping, Venue, and Workhouse.